"I find I'm suddenly starting to notice things I never saw before. Well, maybe I saw them. I just wasn't paying attention." That's a deeply emotional quote from Jake Gyllenhaal in Demolition, one of the best films of the year so far. Gyllenhaal plays Davis Mitchell, a successful banker who loses his wife in a car crash that leaves him unscathed. However, he doesn't feel any emotion at all. This startles many people, including his father-in-law (& boss), Phil (played by Chris Cooper). After being upset at a vending machine not working in a hospital, Davis writes a letter to the vending machine company, eventually spilling the beans about his life & the death of his wife. Eventually, Davis receives a call from Karen Moreno (played by Naomi Watts), a customer service representative from the vending machine company. She admits that she was moved to tears by his letter, & listens to him & offers sympathy. Karen is going through problems as well. She is trying to deal with her rebellious classic rock-loving son Chris (played by Judah Lewis), who is trying to come to terms with his sexuality. Davis befriends Karen & Chris, & helps Chris come to terms with his sexuality. Davis is also beginning to notice things he never saw before (or wasn't paying attention to), & is now trying to feel emotions. The film was brilliantly done. 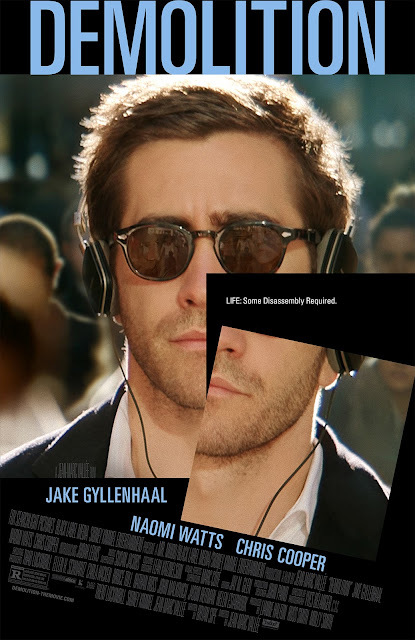 Gyllenhaal was excellent yet again, proving that he is one of the greatest actors of the century. Watts was also excellent, along with Cooper. But the real star here is Judah Lewis, who in his feature film debut, gives an excellent performance, & I expect many things from him in the future. The direction & editing from Jean-Marc Vallée is excellent, & it is one of his best films, along with 2005's C.R.A.Z.Y., 2013's Dallas Buyers Club, & 2014's Wild. The screenplay from Bryan Sipe is excellent, considering that this is only his second film script. Overall, this is not only one of the best films of the year so far, it is one of the best films of the decade so far, & I wouldn't be surprised if this ranks very highly in my top 10 films of the year list at the end of the year.